Proms Lead Up – String Orchestra! Proms is tomorrow, and if we still haven’t convinced you to come then here’s another post introducing one of our main ensembles that will be featured tomorrow, our String Orchestra! The String Orchestra is our newest main ensemble, starting out life as a small group and gaining ensemble status in 2012. String Orchestra welcomes all string-players. 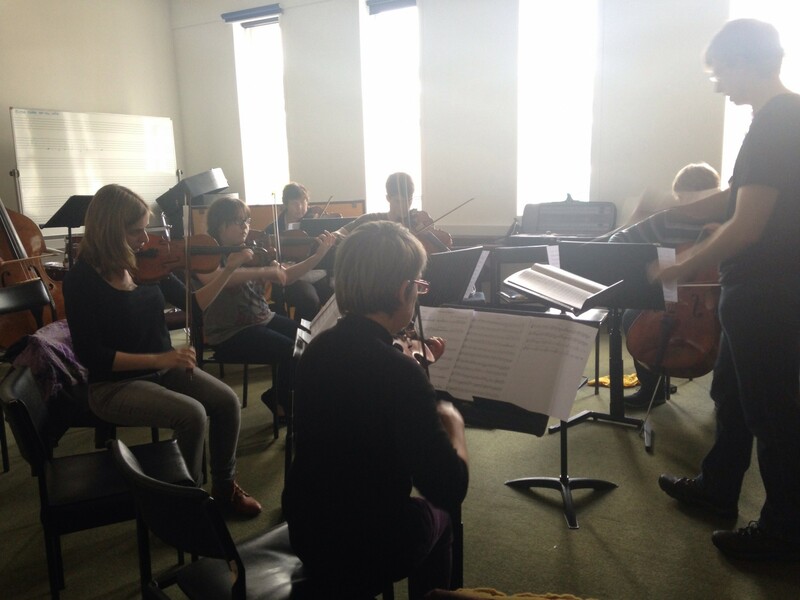 This year String Orchestra have continued to improve both their sound and their presence within the society. Their biggest gig of the year so far was probably at Campus Fest, where they played on the smaller stage during the day. Besides this, they also joined forces with Symphony Orchestra and Choir in the Concerto Concert. Working hard with the conductor to ensure the best sound possible! For Proms this year the String Orchestra will be playing Movement III: Gavotte from the Holberg Suite, by Edvard Grieg and Fiddle Dance by Percy Fletcher. Tickets can be purchased on the door tomorrow, £10 adults and £7 concessions. ← Proms Lead Up – Swing Group!